This Mister Saturday Night we’re hosting a very special get together with a very special man at a very special location. 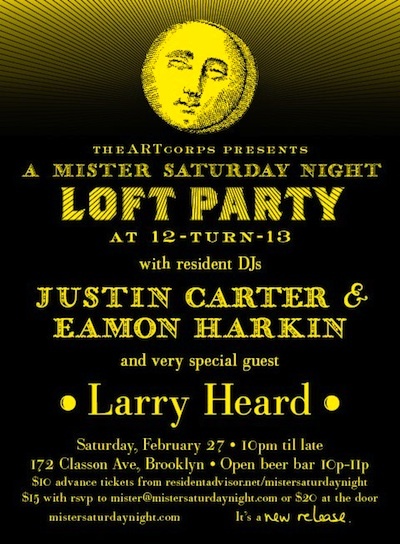 Larry Heard, the musician who turned house music deep, is playing with Eamon and Justin at 12-Turn-13. 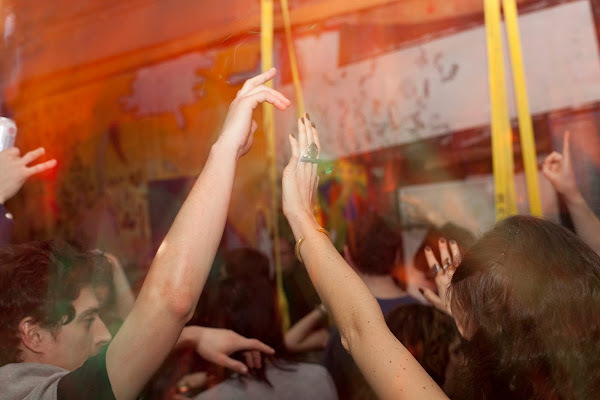 You may remember the space as the loft where we played with Moodymann during a Saturday afternoon downpour back in October. That was good. This one will certainly be no less spectacular. It’s becoming an enjoyable habit for us to share a few words with the guests who we invite to come play with us at Mister Saturday Night, and for our next very special guest we have a special format for the typically text-based interview. Not only is Larry Heard a musical pioneer, a man who crafted arguably the most original and timeless sounds from the golden age of Chicago house, but he is also one of the most gentle and gracious men we’ve ever had the pleasure to work with. So it was with great excitement when we learned that he decided to forgo email in preference to a recording of his own voice to answer our questions. Have a listen right here..
January was amazing. And February is poised to keep things at the fever pitch. Justin and Eamon are playing with a legendary long-time music maker and two of the most promising newcomers on the scene, and they’re hosting Mister Saturday Night at our two favorite underground venues. On February 13, at our home loft, Market Hotel, our guests are Floating Points and Azari and III. This’ll be the first Stateside gig for Floating Points and the first ever live set for A&III in New York. 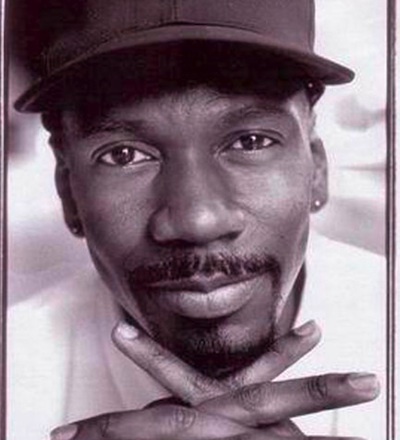 On February 27, the wonderful, legendary Larry Heard is DJing with the boys at 12-turn-13, a very intimate home that only occasionally opens its doors to a party. We hosted Moodymann there back in October, and it was outstanding. We’ll post tracks, interviews and other goodies here in the lead-up to the parties, but for now we wish you a nice week. Have a great one!